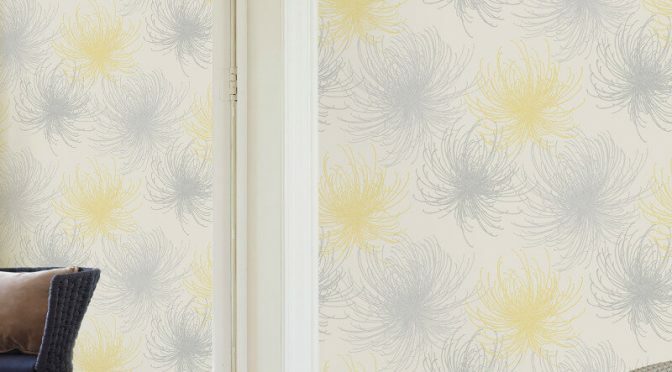 Grandeco Cosmo Floral Yellow Glitter Wallpaper offers a great way to add vibrancy to any room. Firstly, this eye-catching wallpaper is part of the Cosmo Wallpaper Collection. It is sure to make a welcome addition to any room. Inspired by floral wallpapers, this fun interpretation has a light and bright design. It is also brought to life with a fabulous yellow colour scheme. Glitter accents add a hint of sparkle for a beautiful finish. Finally, the Grandeco Cosmo Floral Glitter Wallpaper is textured for an inviting finish. This makes it suitable for use throughout a room. Team with other coloured versions from the same wallpaper collection for an even better finishing effect.